Valentines is coming and I will be making some awesome treats to indulge without the guilt. I love chocolate and am happy to share chocolate is amazing super-food with some great nutrients and benefits. You can also grab my healthy chocolate recipes eBook to enjoy it this weekend. It beats stress and aging: Chocolate in its most natural form of cacao powder is extremely high in antioxidants, including resveratrol. Antioxidants help us counteract the effects of stress from everyday life, environmental pollutants and much more. It’s high in minerals we need: Minerals in this bean include magnesium (important for menstrual health – which is why we crave chocolate during our cycles) . It also contains calcium, chromium, iron, potassium, zinc, copper and manganese. 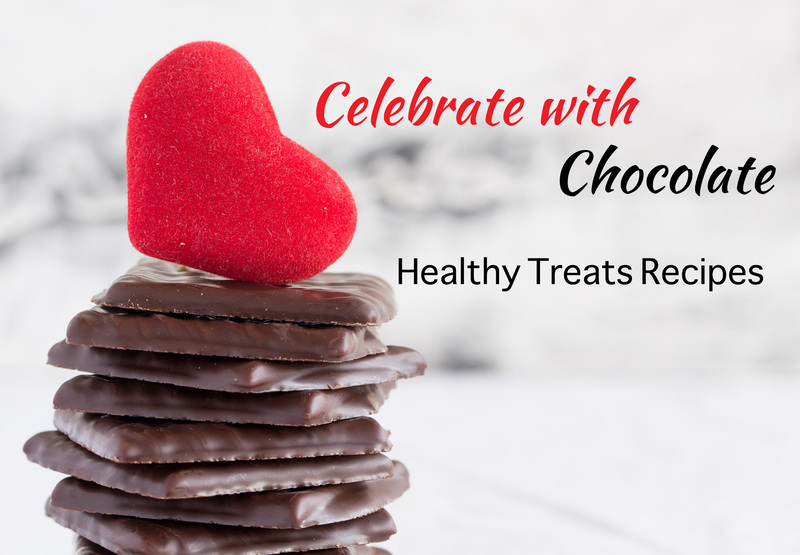 It can help your heart stay healthy: Cacao benefits our heart health both with it’s high level of antioxidants, but also in an ability to improve insulin resistance. Now that’s worth a celebrating! Remember that this is not when chocolate is sugar laden or full of dairy. Milk chocolate is a no-no. Moderation: All good things in moderation. Processing: Chocolate comes in many forms and mixed with other ingredients in the store. As a health conscious consumer you need to be careful not to select chocolate laden with sugar, dairy or processed oils. Make your own or choose trusted brands of unsweetened chocolate or dark chocolate (75% or darker). Side Effects: For some individuals cacao can trigger migraines or headaches, from the caffeine or to the mood stimulant effects. In others it can trigger diarrhea. Each individual needs to listen to their body and recognize what foods they may be sensitive or reacting to. Cocoa powder follows a similar process, except the beans go to a higher temperature (which loses some nutrients). Also, small amounts of cacao butter are left behind to give it a different texture and flavour. Some manufacturers will also add in potassium carbonate to alkalinize it (dutched powders). This does impact the nutritional state of the cocoa and lowers the antioxidant and polyphenol content unfortunately. And always remember to love yourself first, it’s only then that we can be open to loving and being loved.